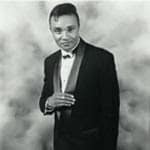 A tribute show starring performing as Jackie Wilson, Little Richard, Stevie Wonder, Marvin Gaye, Ray Charles & Nat King Cole Celebrity Lookalike, Lookalike Impersonator Tribute Artist. The star of Soul Classics, he, captures the essence of the legends of R&B and soul artists of the past. Known as Mr. 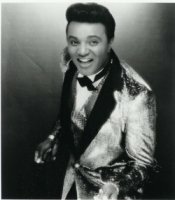 Excitement, he is the son of legendary R&B hitmaker Jackie Wilson. 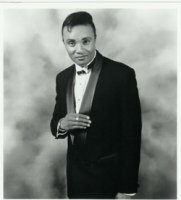 This is no ordinary show!The, son of legendary R&B hitmaker Jackie Wilson, stars in a dazzling tribute show aptly called “The Soul Classics”. And he not only looks like his Dad, he also sounds exactly like Jackie. 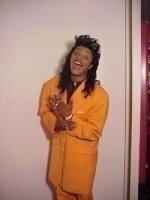 This multi-talented tribute artist has taken the nostalgia rage by storm as the nation’s leading impersonator of soul & pop legends Jackie Wilson as well as Little Richard, Stevie Wonder, Marvin Gaye, Nat King Cole, Sam Cooke, Ray Charles, Sammy Davis, Jr.and Johnny Mathis Celebrity Lookalike, Lookalike Impersonator Tribute Artist .Considered the nation’s leading impersonator of these giants of American music, his interpretations of each are so convincing you’ll think you’re at the Apollo Theatre in a bygone era! If you’ve been asking for something new to appeal to audiences longing to relive the good old days of rhythm and blues, this is it! It’s the music of our lives, plus a show that will energize everyone from young adults to seniors. Put from one to six classic soul artists into your next convention, festival or fair. This is no ordinary tribute show! Each show can be designed to fit any audience and any budget. He can perform as a soloist to tracks or with charts, or with his production ensemble of four musicians plus two singer-dancers. During his one-man show, the audience takes a magical spin. He transforms into each soul classic legend right on the stage while doing costume and make-up changes.It’s the ‘music of our lives’ . . . in a show that will energize all audiences, from young adults to seniors.